Treatments include soak, cut, file, shape, cuticle care, pretty polish or shinny buff. Files, buffers and pumices are never reused and given to you at the end of your treatment. We clean and sanitize all tools and equipment after each client and are kept in hospital grade sanitary pouches to avoid any contamination of any kind. Sanitation is our number one priority. 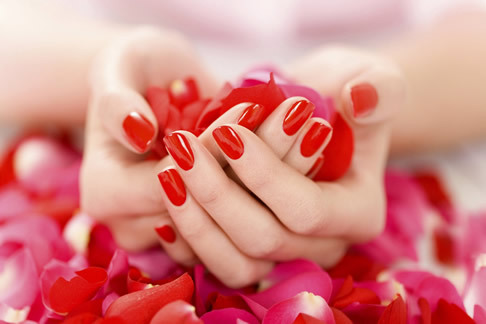 Pamper yourself to the ultimate of manicure and pedicure luxury. Rejuvenate your hands and feet with relaxing massages and a salt scrub.